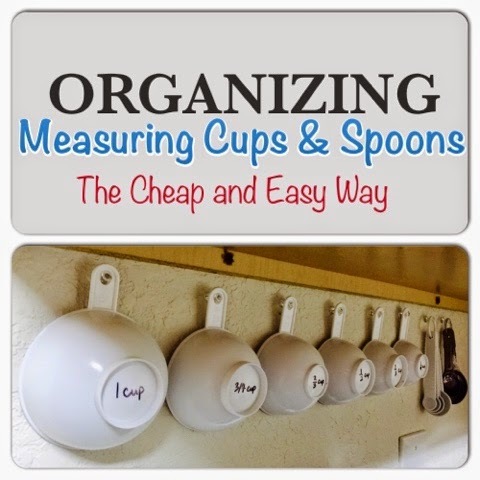 How do you keep your measuring cups and spoons organized? 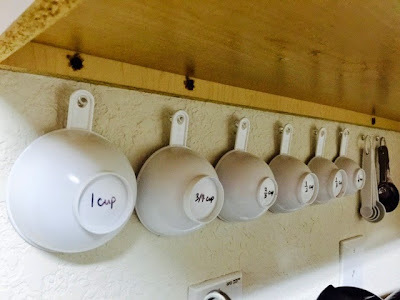 If you are a lot like me who's tired of losing measuring cups and spoons, why not try this simple tip on how to organize your measuring cups and spoons the cheap and easy way. I'll show you an easy and cheaper way to organize your kitchen measuring cups and measuring spoons so that they are easy to access when you need them. All you need for this project is a pack of push pins. Yep, that's pretty much it. 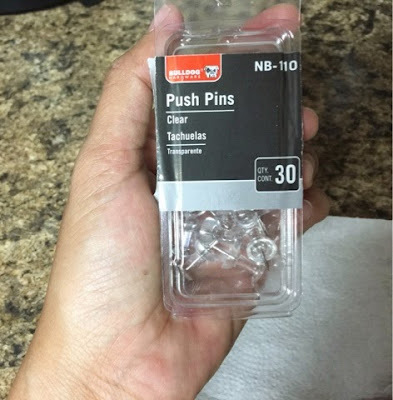 I would recommend the clear pins. No need to drill! 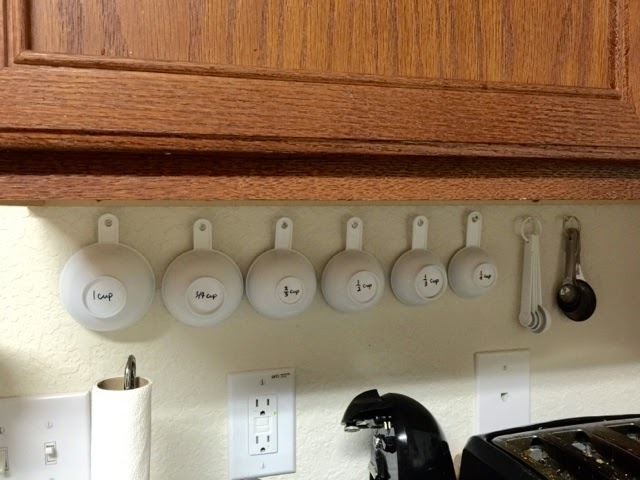 Just push the pins and make sure to leave a space apart for each cup. I decided to hang mine under the cupboard cabinets. They're visible and easy access. I thought it's a pretty neat and cleaver idea!